Further Adventures of Jeff Doles: Summer Reading: Did Adam and Eve Really Exist? Summer Reading: Did Adam and Eve Really Exist? The kids may be back in school, but there is still a good bit of summer left. So I'm still working on my summer reading. Earlier, I read C. John Collins' Genesis 1-4: A Linguistic, Literary, and Theological Commentary. Now, I am following that up with this. “We need a real Adam and Eve if we are to make sense of the Bible and of life,” argues C. John Collins. Examining the biblical storyline as the worldview story of the people of God, Collins shows how that story presupposes a real Adam and Eve and how the modern experience of human life points to the same conclusion. 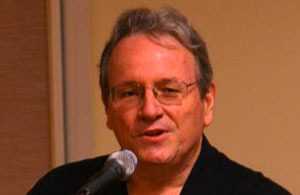 Applying well-informed critical thinking to questions raised by theologians and scientists alike, Collins asserts that only a real man could participate in God’s plan to use his human partners to bring blessing to the whole creation, a blessing that requires “redemption” for all people since sin entered the world. Did Adam and Eve Really Exist? addresses both biblical and Jewish texts and contains extensive appendices to examine how the material in Genesis relates to similar material from Mesopotamian myths. Collins’s detailed analysis of the relevant texts will instill confidence in readers that the traditional Christian story equips them better than any alternatives to engage the life that they actually encounter in the modern world.